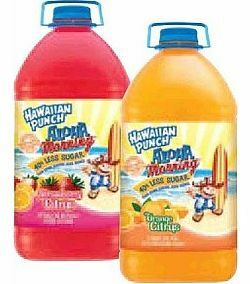 Home > Printable Coupons > Hawaiian Punch Coupon | Free at Kroger Through Tomorrow! Hawaiian Punch Coupon | Free at Kroger Through Tomorrow! If you are headed into Kroger today or tomorrow, be sure and print this Hawaiian Punch coupon to take with you! I’ve heard the gallon size has been apart of the 10 for $10 sale, which makes it FREE after the coupon below! Be sure to get your shopping list ready from the full Kroger ad as well!